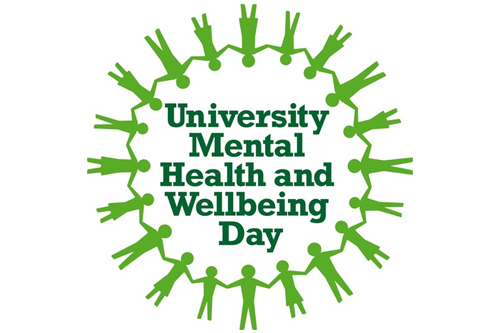 The Student Counselling and Mental Health Service have organised a range of events and activities on campus to mark University Mental Health Day 2016. The national campaign aims to raise awareness of mental health, reduce stigma and discrimination and provide support for better mental wellbeing. The events hosted on campus are free to students and staff and include a yoga session, massages, a craft station, biscuit decorating and board games. There will also be a stall promoting Emoodji, the new app created by leading charity Mind. The app is aimed at students to help them manage the “ups and downs” of university life. Information about the various support services at City and how students can get access to the support they need will also be provided. A special screening of Inside Out is set to be held at CityBar from 5pm - 8pm. The Disney Pixar film looks at emotions and wellbeing, illustrating mental health issues and how to deal with them. Visit the Drysdale Seating Zone Level 1 between 11am and 2pm for more information and to take part in the activities. City’s Student Counselling and Mental Health Service provides confidential, emotional support to all students who may be experiencing personal or academic difficulties. They also offer support and practical guidance to students with diagnosed mental health conditions. For more information, students can visit the website, or attend the daily drop-in session, at 1pm in E112 Drysdale Building.